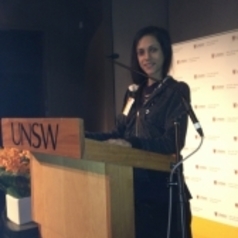 Hadeel Al-Alosi was one of the first graduates of the University of New South Wales Criminology and Criminal Justice/Law program. She is currently a solicitor of the Supreme Court of New South Wales. She has conducted legal research for barristers and solicitors in preparation for trials and written submissions to royal commissions on their behalf. Hadeel has also contributed to the publication of academic textbooks, research papers, and developed website content for Australian law firms. Hadeel has a strong interest in the work of community legal centres and addressing access to justice issues for vulnerable groups. She has conduced extensive research on Australia’s child abuse material, as well as equivalent legislation in Canada, Japan, the United Kingdom, and the United States. However, Hadeel is also interested in various topics and socio-legal disciplines, in particular criminology, domestic violence, children's rights, and legal ethics.